Pseudotumor cerebri (PTC) is a condition in which high cerebrospinal fluid (CSF) pressure inside your head can cause problems with vision and headache. The term “pseudotumor” (which means “false tumor”) comes from the days before CT and MRI scans, when doctors who noted swelling of the optic disc (the visible portion of the optic nerve in the back of the eye) considered the possibility of a brain tumor. 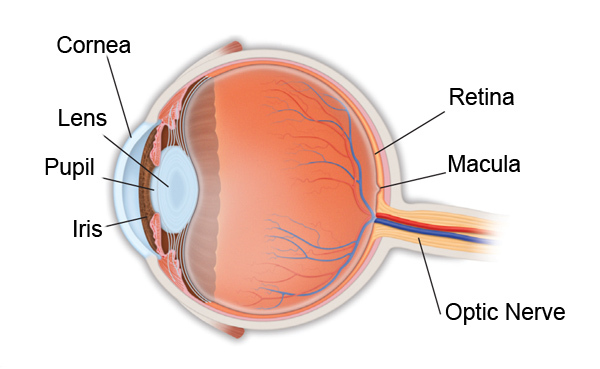 Patients with optic disc swelling but no evidence of a tumor were said to have “pseudotumor.” In PTC, the flow of CSF (a clear fluid that bathes the brain and spinal cord) is blocked from flowing back out of the head as it should, leading to high CSF pressure inside your head. This pressure results in swelling of the optic disc at the back of the eye, which can damage (sometimes permanently) the optic nerve and cause vision loss. High pressure may also cause damage to the nerves that move the eyes, resulting in double vision. The reason for decreased outflow of CSF is not clear. Because this condition seems to occur more often in overweight young women, a hormonal influence is suspected. Overweight young women are 20 times more likely to develop pseudotumor. PTC may also occur in children, men, and patients who are not overweight. In some cases, antibiotic or steroid use may be associated with pseudotumor. High doses of vitamin A may also lead to increased CSF pressure. Your ophthalmologist (Eye M.D.) will carefully measure your vision, check the light reaction of your pupils, examine the back of your eye and may evaluate your field of vision. Because other conditions may produce similar symptoms to pseudotumor cerebri, an MRI scan is necessary for accurate diagnosis. A spinal tap is also necessary to check for elevated CSF and to make sure there are no other CSF abnormalities. If you have no significant headaches or evidence of vision loss (including visual fields), no treatment may be necessary. If you do experience these problems, however, certain medications used in treating glaucoma (such as acetazolamide) can lower the CSF pressure in the head by reducing production of this fluid. Diuretics may also be prescribed. One of the most effective treatments is weight reduction in overweight patients. Pressure may also be lowered by draining off CSF through repeated spinal taps. Repeat visual field testing is essential in following patients with PTC. If your visual field is worsening or you experience a decrease in central vision, and you do not have severe headaches, a small hole or multiple slits may be placed in the optic nerve sheath (called optic nerve sheath fenestration) just behind the eye using an operating microscope. This is done to protect the optic nerve from further damage. If severe headaches accompany visual loss, a shunting procedure (lumbo-peritoneal or ventriculo-peritoneal) may be required, in which a small tube is placed to carry fluid from where it is building up to where it can be absorbed, thus relieving pressure.